1ST OF TWO FREE EBOOKS! The Chart Scan weekly newsletter is designed to assist you in becoming a better trader by showing you in the context of the markets how to apply the Law of Charts™ in today's markets. Chart Scan was created to show you The Law of Charts™ in action. Implementing the Law of Charts is how thousands of traders are making bundles of money in today’s markets. The Law of Charts™ benefits you, by working in all markets and in all time frames. It works to make you money with bar charts, candlestick charts, line charts (as used with spreads), and point and figure charts. Part and parcel with the Law of Charts™ is one implementation of the “Law”—the Traders Trick Entry™ (TTE). There are many additional implementations, which are through our books, EBooks, webinars, and private tutoring by our Professional Traders. In this newsletter, you will see applications to a variety of markets, including forex, futures, spreads, and stocks. The best way to understand the concept of the Law of Charts™ is to see it in action in a variety of time frames. 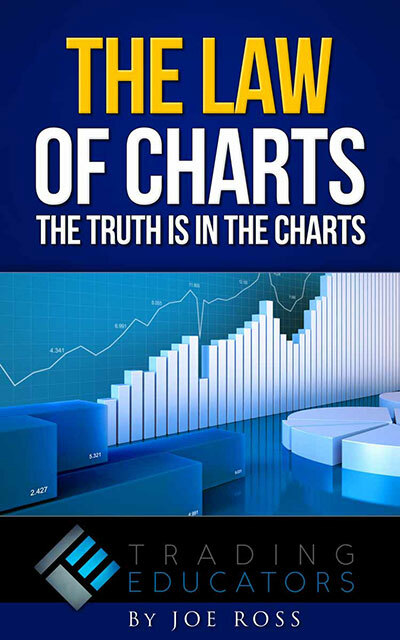 The Law of Charts™ is applicable to all markets and all time frames. Combined with the Law of Charts™ concept is the Traders Trick Entry™, which offers you a best entry implementation of the law. Accompanying each week's chart are invaluable commentary, examples, and special promotions about our products and services. This newsletter has helped many traders to become more successful. 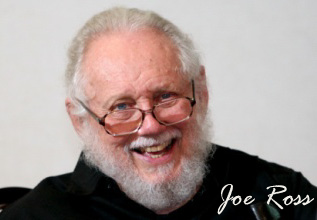 Sign up today to receive your free weekly Joe Ross-Trading Educators Chart Scan Newsletter emailed every Friday. As a bonus, you'll receive 2 FREE EBooks, trading articles, and much more! All you have to do is check your email to confirm permission. Your first free EBook is the "The Law of Charts™" and the second one is our "Traders Trick Entry™” Ebook. Start your trading education today! We will not sell, rent, or trade your information. Click Here to read some of our past Chart Scan Newsletter Editions! Joe Ross' Weekly Chart Scan and Commentary, trading articles & announcements. See the Law of Charts in action. Did you miss one of our newsletters? No worries just click the button below to view a list of our archived newsletters. "Teach our students the truth in trading — teach them how to trade," and "Give them a way to earn while they learn — realizing that it takes time to develop a successful trader." TM and Copyright @ 2019 Trading Educators, Inc. All rights reserved. Derivative transactions, including futures, are complex and carry a high degree of risk. They are intended for sophisticated investors and are not suitable for everyone. There are numerous other factors related to the markets in general or to the implementation of any specific trading program which cannot be fully accounted for in the preparation of hypothetical performance results, and all of which can adversely affect actual trading results. For more information, see the Risk Disclosure Statement for Futures and Options.